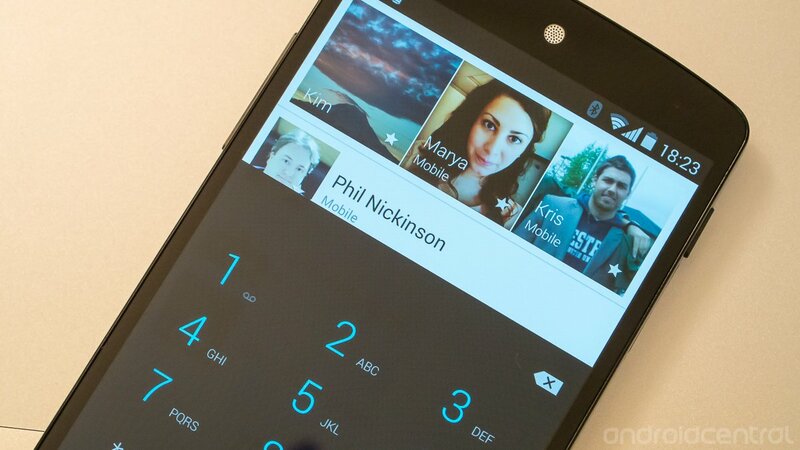 The dialer in Android 4.4 KitKat has a new look and new search features, but come 2014 it will also have a better database of photos from individuals that you call. Although a specific date has yet to be given, Google plans at some point in "early 2014" to flip the switch on pairing up people's verified phone numbers with their Google+ profile photos. This means that any time you call someone after verifying your phone number with Google, the person on the other end will see your Google+ profile picture on their incoming call screen. Google says this will be useful for when you meet someone but have yet to add them to your contacts and associate an image with them, which we can see the benefit of. Currently the portion of your Google account settings that handles phone numbers simply has a list of "verified" numbers associated with your account, and it seems as though they're opted into this new system by default. The tooltip reads "help people who have your phone number find you on Google services and connect with you," and this function is currently used for things like Hangouts. In a way, this is simply letting you take control of your own contact image on other people's devices. Rather than leaving it up to everyone else to put you in their contacts and link up the proper accounts to see your Google+ profile, you can simply keep your information up to date and they'll see it. It's not entirely clear what version of Android will be required for you to see (or be seen) the new contact images associated with numbers nor do we have any better timeframe than early 2014, but you may want to jump into those Google account settings and choose which, if any, phone numbers you want linked to your account.